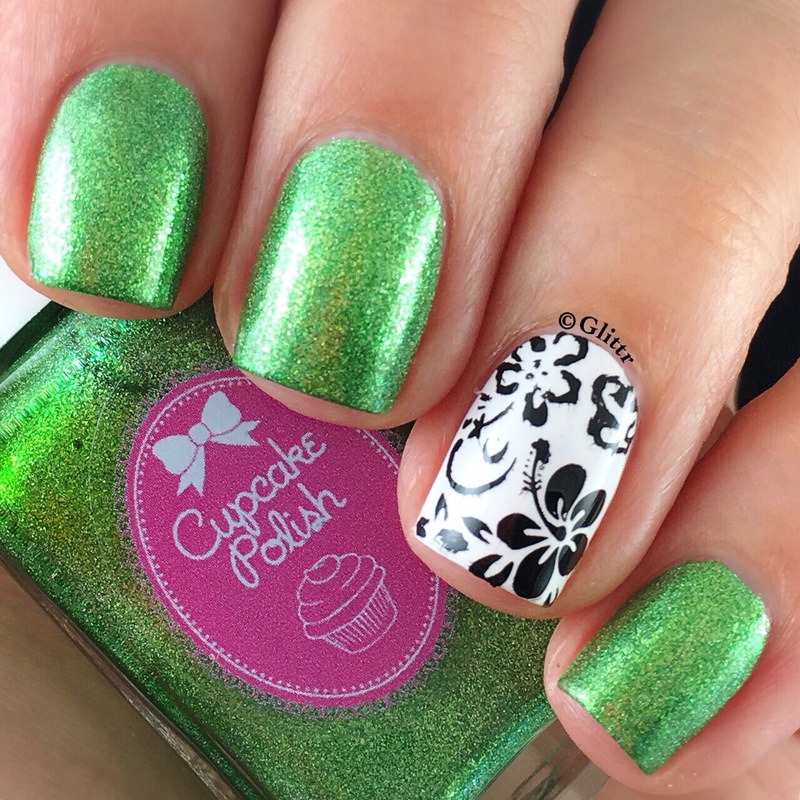 another co host of the Cocktails&Color event and an awesome indie polish brand I want to talk about today is Cupcake Polish! Sara, the maker and owner, is super sweet and makes some gorgeous holo polishes, three of which I want to show you today. 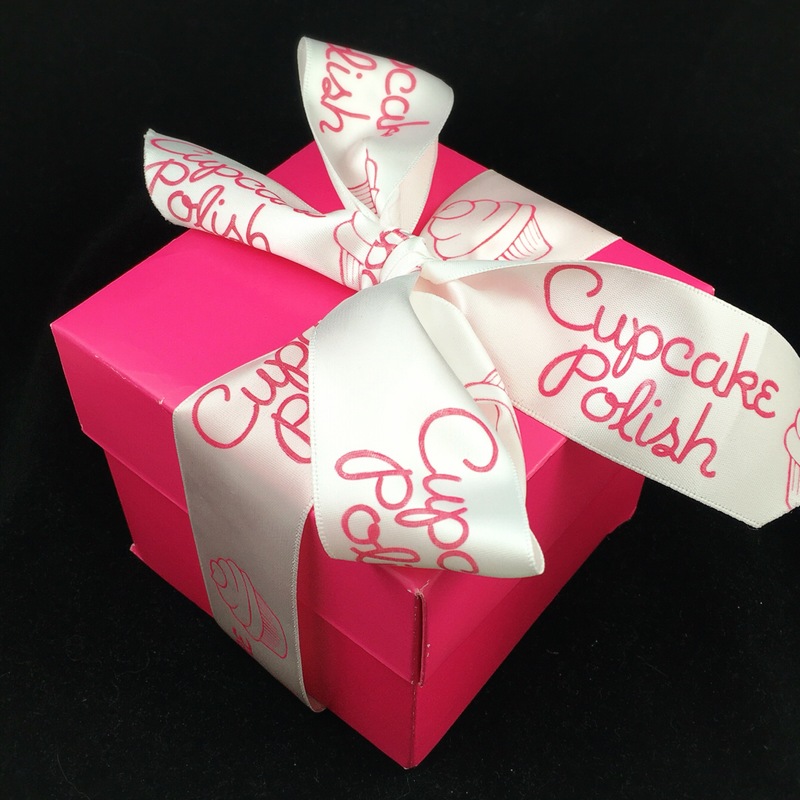 Of course I have to start with a picture of what the Cupcake Polish goodies looked like in the packaging Sara did for the swag bag! 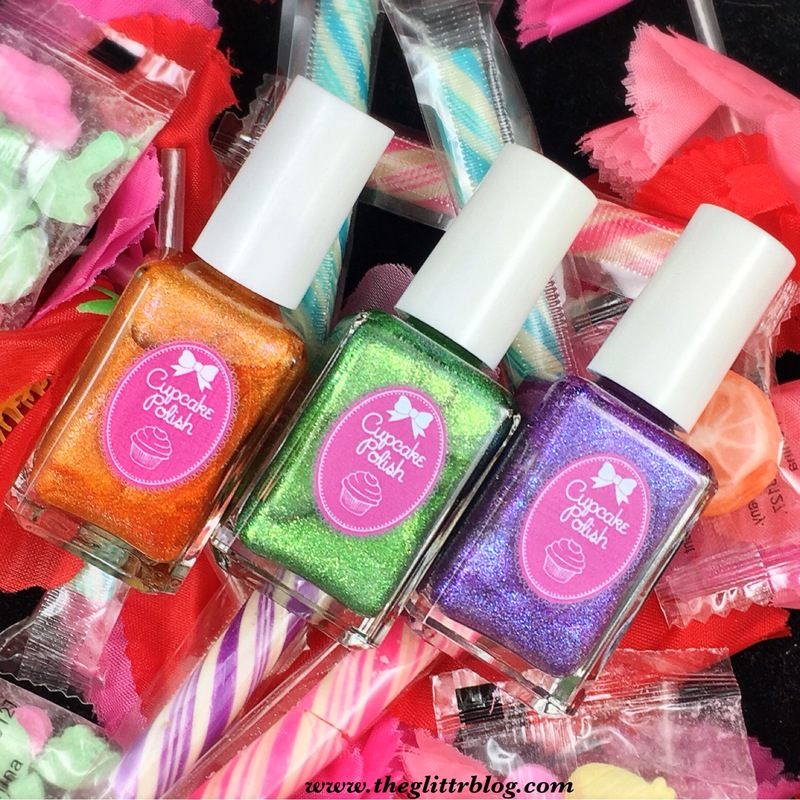 Let’s get into the polishes! All of the polishes are gorgeous holos and glitter like mad, unfortunately I haven’t had the time to research and invest into a proper camera so you have to make due with my crappy iPhone pictures. But I think the polishes still look super awesome! From left to right, they are called Sand By Me, Lei Me Down and Here Today, Gone To Maui – how cute are those names?! The Luau collection will be releasing on 08/28/2016, so set your alarms! I also have a coupon code to share with you guys that will be good until September 1st! 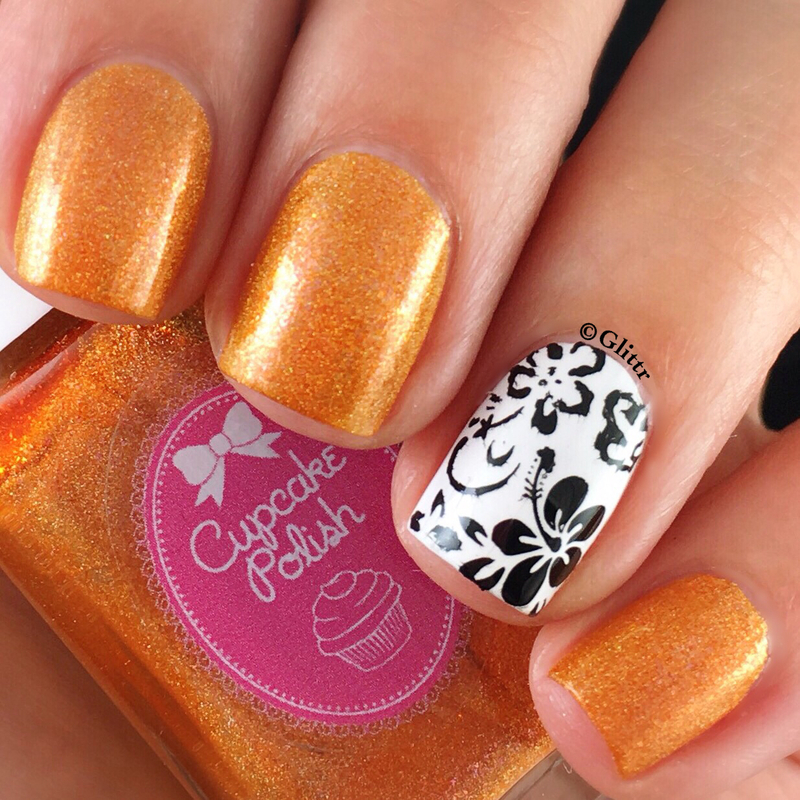 You can get 15% off everything at Cupcake Polish by using the code COSMOPROF2016 ! For my accent nail in my swatches I used the MoYou London stamping plate no. 02 from the tropical collection. 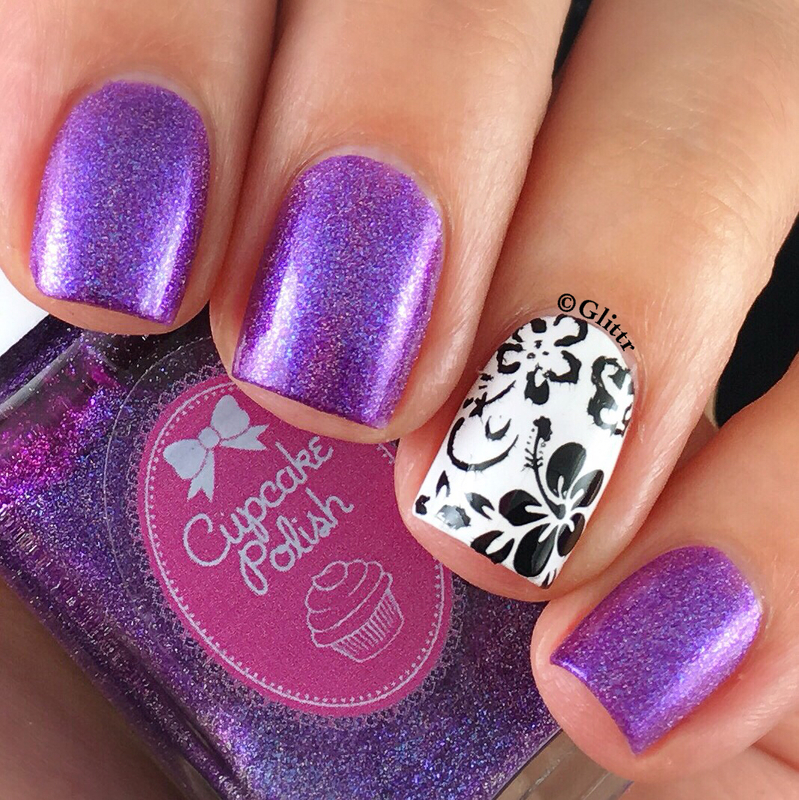 I hope you enjoyed my swatches of this pretty polishes!